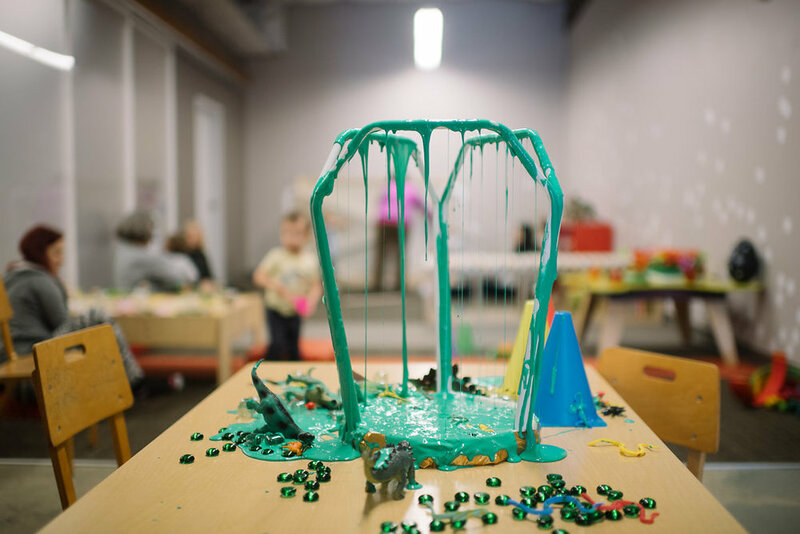 PreSchool Explorers is a child-centered, inquiry-based program which incorporates Project Based learning strategies and amazing Specialists to ignite a student's natural curiosity. Students enter straight into their classroom, through the designated PreSchool Explorers door. We ask that they sanitize their hands, take their shoes off, and hang their coats...encouraging their independence and practicing their routines. A thought provoking Question of the Day will be up on the welcome board, prompting students to share their voice and choice via various communication styles. Once inside the classroom, students will find several child-led discovery stations to explore at their own pace, based on their own interests. We will always have dramatic play, blocks, manipulatives and books available; along with sensory, fine motor, and S.T.E.A.M (science, technology, engineering, arts / design and math) activities. We will practice responsibility by cleaning up after ourselves, and putting things back where they belong. We'll gather for our Morning Meeting where we'll share stories and what we are thinking about, discuss our plans for the day, and review project status. It's time for stories, open conversation, sharing, and more Social / Emotional learning gathered around the table. It's where we feed ourselves and each other. A simple snack is shared to practice serving ourselves and friends. We'll practice transitions and move into the Studio for a change of scenery. It's a time to get our bodies moving, sing fun, active songs, discover new stories & books, and practice yoga & mindfulness. We've gathered a very special group of specialists to practice our public speaking skills, stretch our creative expression, learn to cook and healthy eating habits, explore our earth & sciences, and all things S.T.E.A.M. Most Thursdays will be working on our projects at this time. We'll start planting the seeds for collaboration, sharing ideas, providing feedback, and project management. Students will meet back up to check in with progress on their projects, their thoughts, feelings, and hopes for next class. We'll reflect on how & where we started...and make plans for where we want to go.